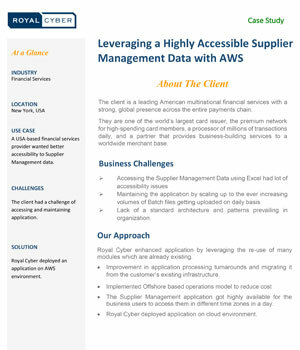 A US-based financial services provider wanted better accessibility to Supplier Management data. The client had a challenge of accessing and maintaining the application. Royal Cyber deployed an application on AWS environment.